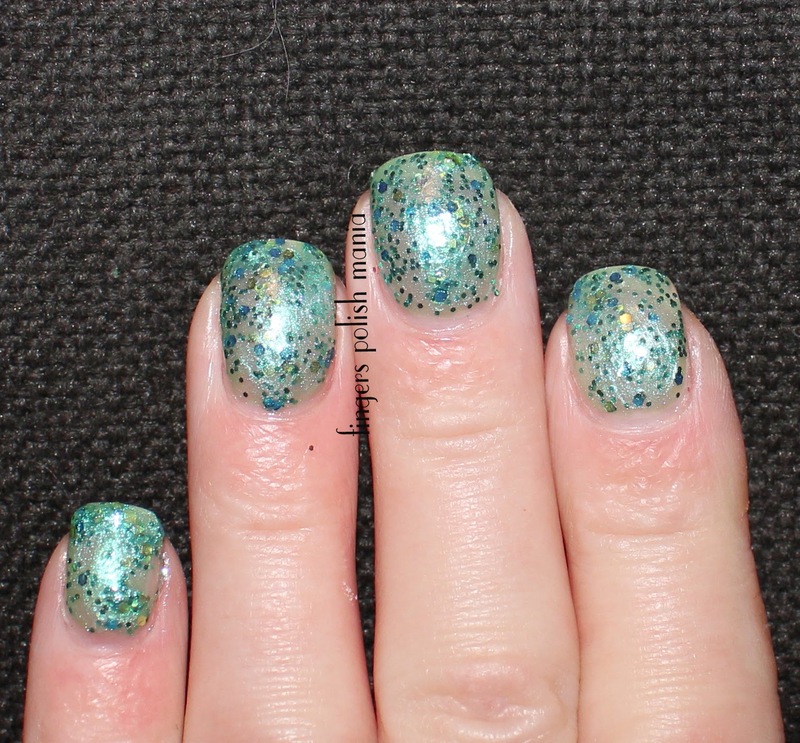 I've been reviewing Barielle polish for a few months now, and so far, I've really liked doing it. Until I got the newest set in the mail. 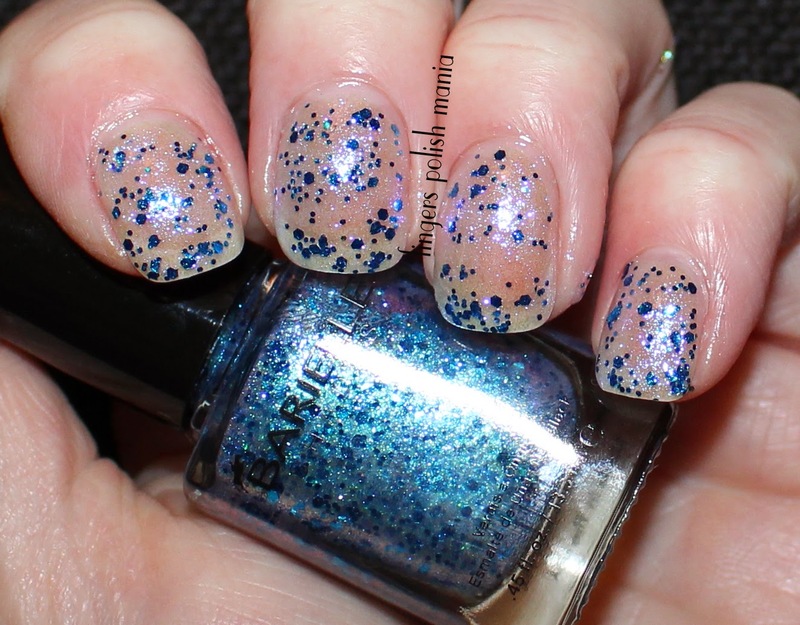 Yup, as I hinted at last post, it is all about the glitter. 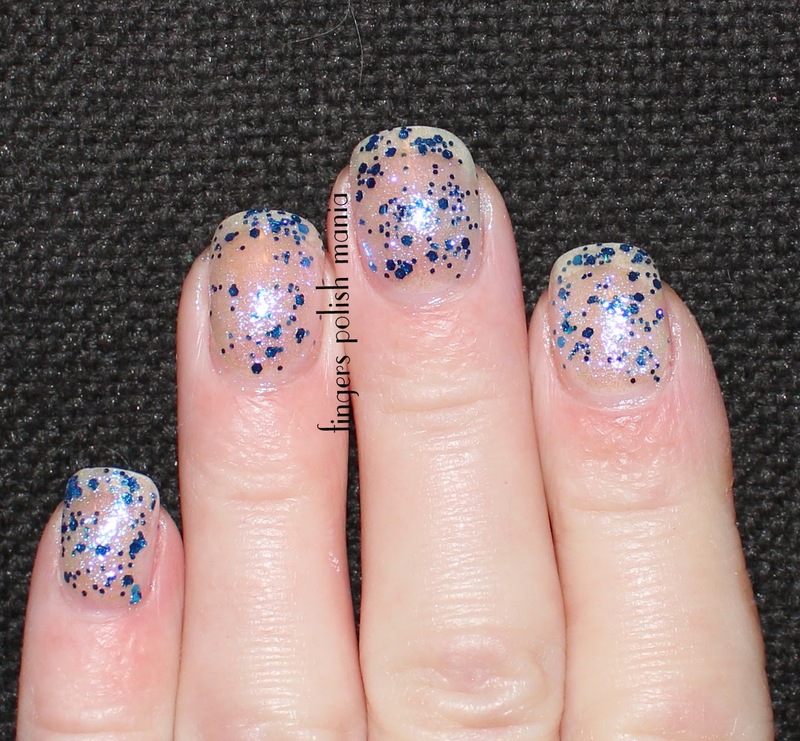 Anyone who's paid attention here at my blog knows I'm not a fan of the glitter. 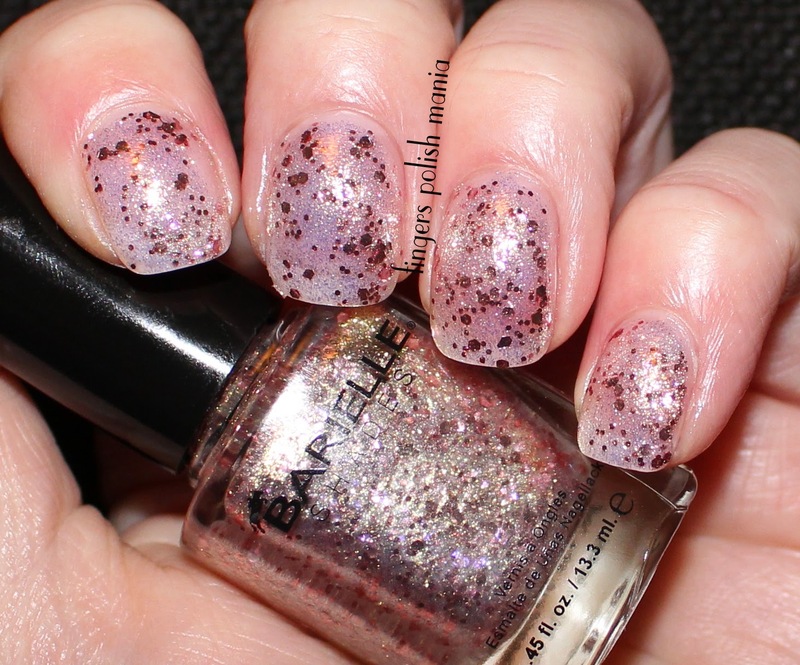 Once in a great while, I'll pull out the black and white glitter, but really I don't even own any other glitter polish. As I looked at this set, I thought, how am I going to review something I really know nothing about? 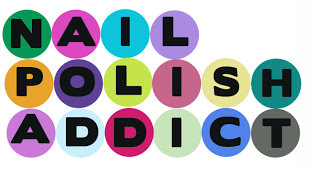 I decided to be a professional and do my due diligence and wear each one and tell you all about them and you guys can ooooh and aaaah all you want!!!! I know a ton of you out there are all about the glitter. Because of this, this is one huge picture heavy post. So let's get started. 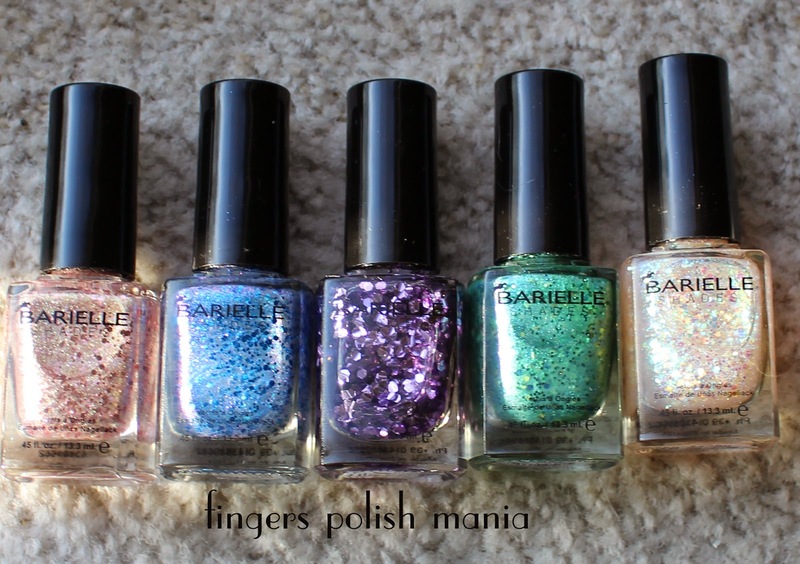 This is Barielle Golden Halo, Shooting Star, Amethyst, Sea Urchin and Angel Dust. 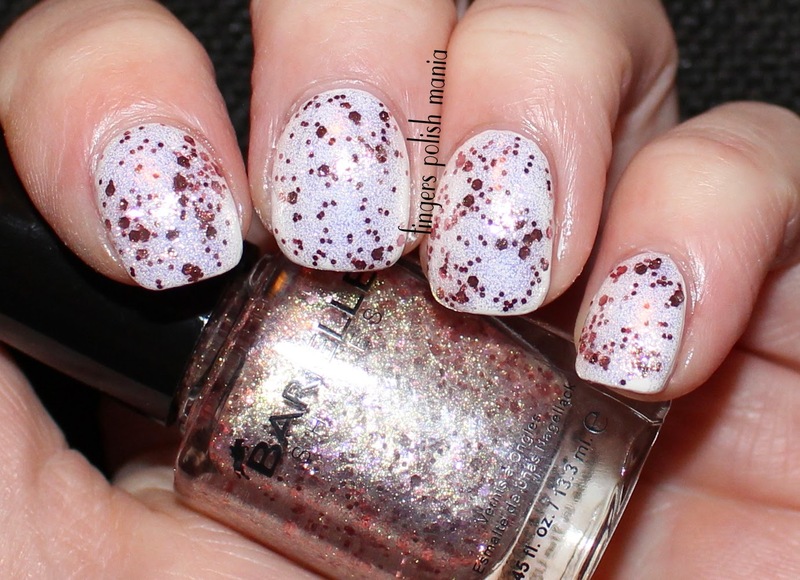 These are a combination of regular size glitters with microglitters in the base. Except for Amethyst, which is all the bigger glitters. I wore them by themselves except for Golden Halo. Let's start with my least favorite, the green one. For some reason, this one was thick and gloopy and did not want to play nice. I'm sure if I added some thinner, it may have helped this polish spread easier. I just didn't think this one was very pretty at all. Next let's look at Angel Dust. Now this one it's a stunner for sure. 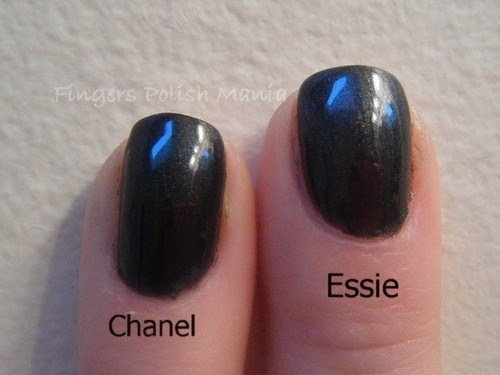 I actually can see myself wearing this one over something dark and vampy, or even on a nice pastel. I wish the sun had been out as I bet the shimmery colors would have been even more gorgeous. This is me saying that I actually LIKE a glitter! Look at those pretty pinks, blues, oranges etc in this polish. 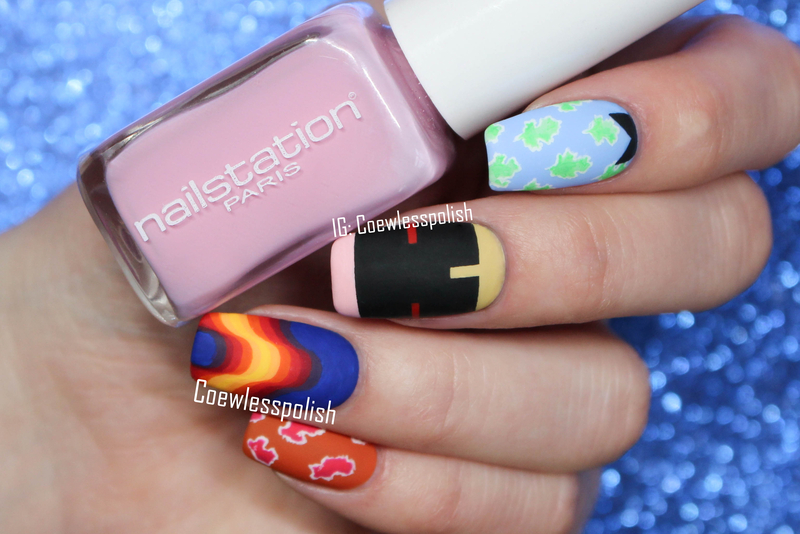 It's like tiny little Easter eggs on my nails! What is hard to see is the microshimmery glitters in the base. It's there, trust me. Next we have Shooting Star. Now this is a gorgeous blue on blue fest. 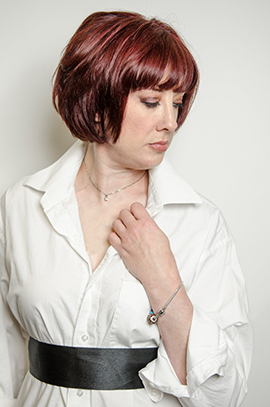 Barielle has declared April to be blue month-so wear all your blues! I already have an idea of what to do with this glitter for later in the month of April for the Blue fest. I even had to give you an extra picture for this one as it's so cool. See how the microshimmer glows within the base? It really is a cool thing! Picture putting this on top of your favorite colors and just adding that whole different dimension. I have future plans for this one! The last one I have for today is Golden Halo. This one I did plain and on top of a white polish. We shall start with it by itself. 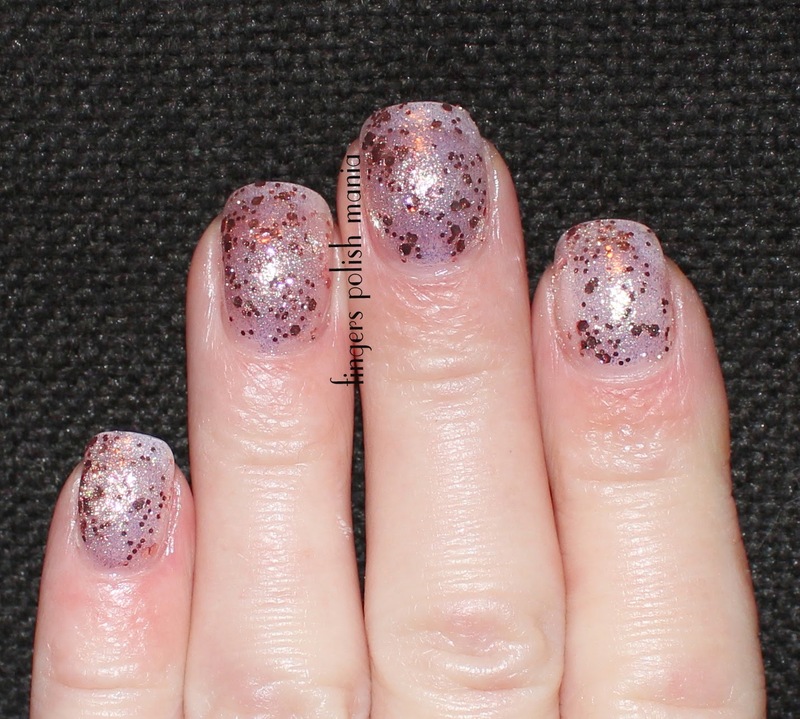 Now this one is interesting as it has pink glitters with gold microshimmers. 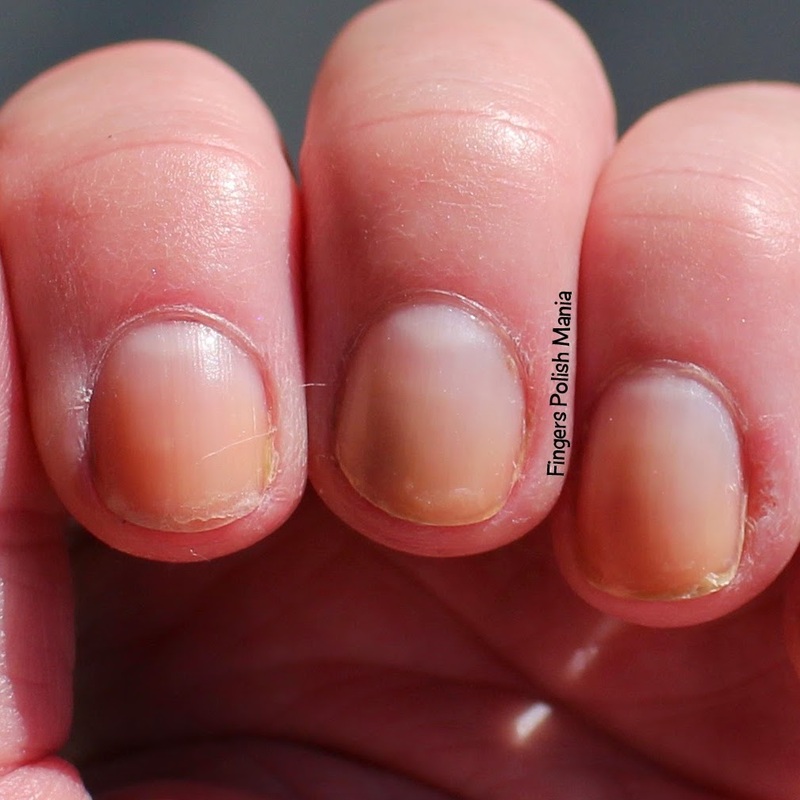 You can see the gold flashes on the nails. It's really cool. Now here it is on top of a plain white polish. For some reason, my camera is messing with the gold microshimmer, but it's there and it's very cool! Except for the first green glitter, the formula on these were perfect. They went on easy and level and the glitter laid flat, which I'm told is something you want in a glitter! 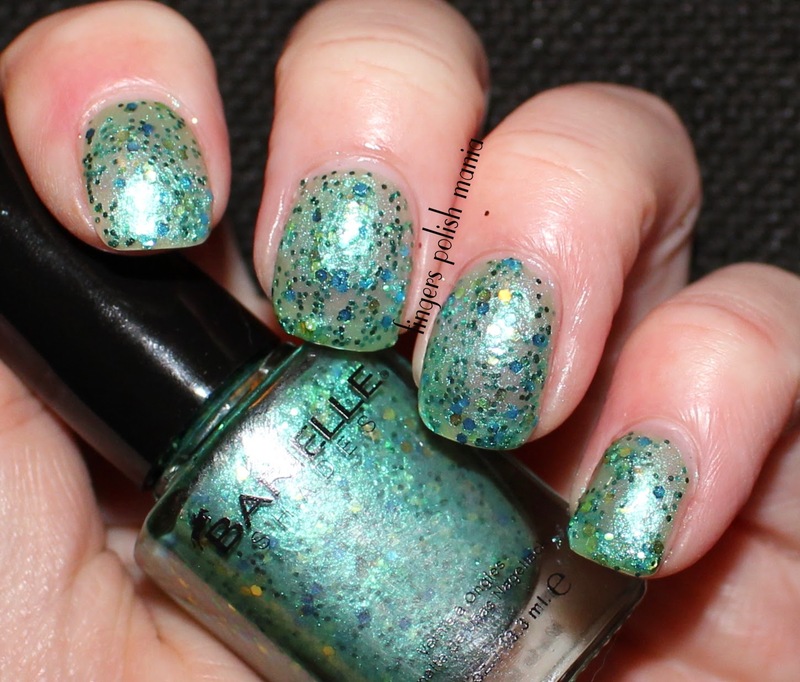 I started this review hesitant and wondering if I even should do it and I'm ending it telling you that I actually really like the combination of big and micro glitters in these polish. 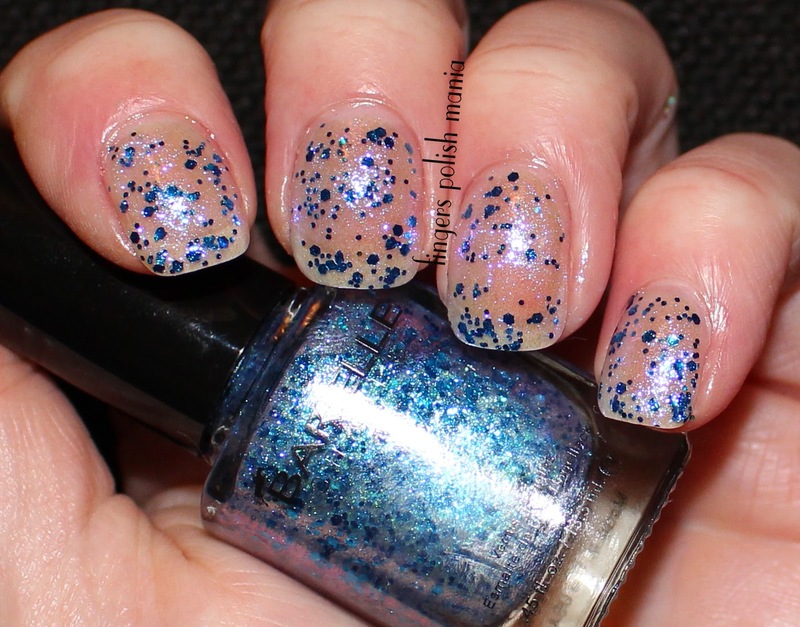 My favorites are the blue Shooting Star and the Angel Dust pastel glitters. These will be available on the Barielle website starting April 1st. 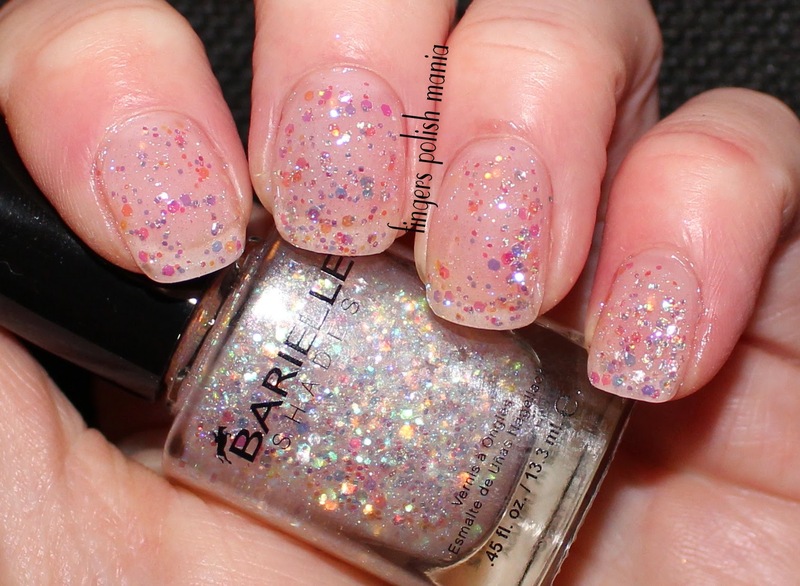 Trust me, if you love glitter, you're going to want to get in on this Bling It On collection!